Himachal Pradesh stands as a crown of India as it welcomes tourists all around the world and is also determined as one of the best tourist places in India. Himachal Pradesh is known for its natural landscape and splendid beauty which has made it one of the popular destinations for adventure tourism in India. It is believed that it is the best place for adventure lovers as there are tremendous options for outdoor activities like rock climbing, mountain biking, paragliding and ice skating. 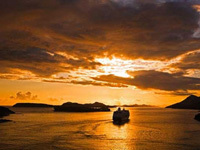 A visit here will make your trip more thrilling and exciting. 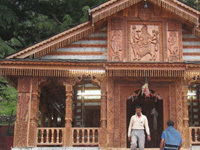 The different attractions and exciting things that Himachal offers you will make you crave for another visit. 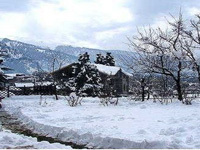 Manali is one of the top tourist places in India situated near the end of valley on the National Highway leading to Leh. 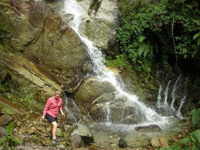 It not only offers best sightseeing places to nature lovers but also enables you to enjoy many adventurous sports. The valley is surrounded by beautiful snow capped mountains along with tiny fields and fruit orchards. Manali is famous for river rafting and is considered as the best place to raft in fresh, natural and white water of Beas. Among all the water sports, river rafting is the most popular adventure because it gives you a thrilling and adoring experience. The breath taking views of rising water along with picturesque landscapes make this place popular among the visitors in all seasons. 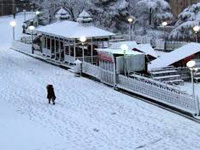 Dalhousie is a beautiful hill station which is spread out over five hills known as Kathlog, Potreys, Tehra, Bakrota and Balun. The town is varying in altitude shades and is covered with varieties of vegetation, including grooves of pine trees, deodars and oak trees. A large number of vacationers visit this place, considering it to be one of the perfect weekend getaways, to get a glimpse of this town, which preserves conical architecture. You can enjoy magnificent views of Chamba Valley along with some vantage points that provide superlative views of sunset at Pirpanjal Range at Dalhousie where you can get mesmerized in the lap of nature. Taking a tour to Himachal, you can experience the thrill of height in Himachal Pradesh throughout your journey. Furthermore, you can experience the greatest range of flora and fauna in this state, making it one of the best tourist places in India and a growing spot of tourism in India.